These goTenna Off-Grid Text & GPS devices are the first and only way to turn your smartphone into an off-grid communicator. Basically, these small radios allow you to build your very own private cell network with your friends. 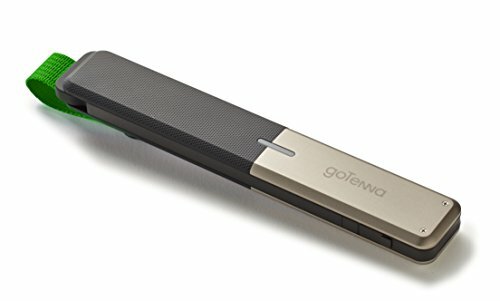 You can use you Android or iOS smartphone to communicate with other goTenna users even if there is no cell coverage at all. All you have to do is connect via Bluetooth to your goTenna and within seconds you’re ready to type out texts or share locations on off-line maps with others, up to several miles away. 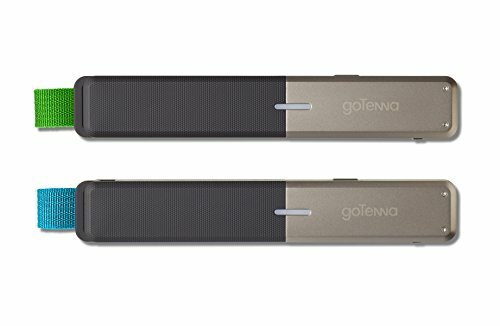 The goTenna devices are sold in pairs, but any unit can communicate with any other users within range so you can create networks as big or small as you need, no towers, routers or satellites required! If you don’t want to broadcast to every other goTenna user, you can easily send private messages to specific people or groups. Cool, huh? They’re sold in pairs (because what’s the use of having only one?) and have a range of up to 5 miles (8km) in the wilderness. In town you’ll probably only get a mile (1.6km) because of interference from buildings. The goTenna Off-Grid Text & GPS system is great for camping and hiking. It’s also a great way to keep in touch with your friends in crowded areas like conventions or concerts. Because, as you know, the local cell towers in those places are often overloaded. Size: Roughly 5.8 in x 1 in x 0.5 in or 147.3 mm x 25.4 mm x 12.7 mm. When the device extends, its length increases by 2.2 in or 55.8 mm. Weight: About 1.8 oz or 52 g.
Range: Up to 5 miles in the woods. 1 mile in the city. In the box: 2 goTenna devices, 2 micro-USB charging cables.